Embracing Cottage Style: I Need Your Help!!! I enjoy hosting Blog Parties for Embracing Cottage Style. Meeting all of you is the main reason I love to do it. would be up and running, but last month no one came to the party. No one has sent a message today wondering where it is. Here is where I could use everyone's help whether you are a member of ECS or an Embracing Cottage Style Blogspot visitor. Market Monday is a very popular party every month, but why are the other blogspot parties not getting a lot of attendees...is it just Summer.....are there not enough variety of themes? Would you rather see daily link-in posts than weekly parties? I love this blog and it's potential as a unique gathering place. This Wednesday please leave a comment for me with any and all of your suggestions on how we can increase attendance here at the Embracing Cottage Style Blogspot. 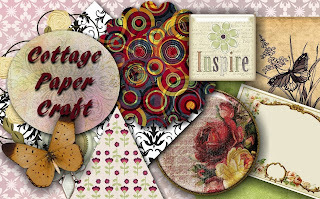 Cottage Vintage Finds and Wednesday for Cottage Stitchery. I would LOVE to participate in the market Monday and others... I am just so stretched for attention with my five year old, I keep missing them or forgetting! If you could keep a list up on the side bar maybe...or a button we could put on our own side bar with the days the link parties are? That's just me, maybe I am the only one that is forgetful! Oh! Or maybe start and email list and we can be notified the night before? Hang in there! Love the new look. For me, I don't qualify for most of the themes of the parties. 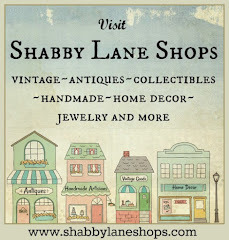 I sell vintage in my shop and I blog about a lot of different things, not usually the themes offered here. I link up whenever I can though!! I have linked up my Etsy items on Market Monday, but mistakenly thought the other link parties were only for members of your group. I do enjoy coming over to browse through the links. I guess I need to see either how to become a member or pay more attention to the themes. I know I do not blog or link to parties as much in the summer as the rest of the year. Let me know if I can help you in any way. I enjoy the parties and try and link up when I have something that fits the theme. I agree with the other comment about maybe posting the schedule of the parties. Or maybe combine some of the themes together to create a larger audience. Thank you for all you do for us. I've been remiss on posting on my own blog and a lot of times, what I'm posting doesn't fit the parties here. Maybe a party that showcases a color can be added? And anything that falls under that color can be listed? I don't know...just thinking out loud. Hope it all works out and you end up with more traffic! Hi Melody, I try and post for the parties when I can and have something for the themes. I think we might get more of an audience if we scheduled the same parties each week so we could plan for the themes instead of each week being different. Less might be more in this case. Or perhaps group and combine a few to cover the same day. Thank you all soooo much for the feed back. It is greatly appreciated.